A soft-tailored jacket, in a melange blue window pane check. Hand selected fabric from the Zignone mill located in the heart of Biella (Italy’s epicentre of woollen suiting), from a superfine merino wool enriched with a small amount of stretch. 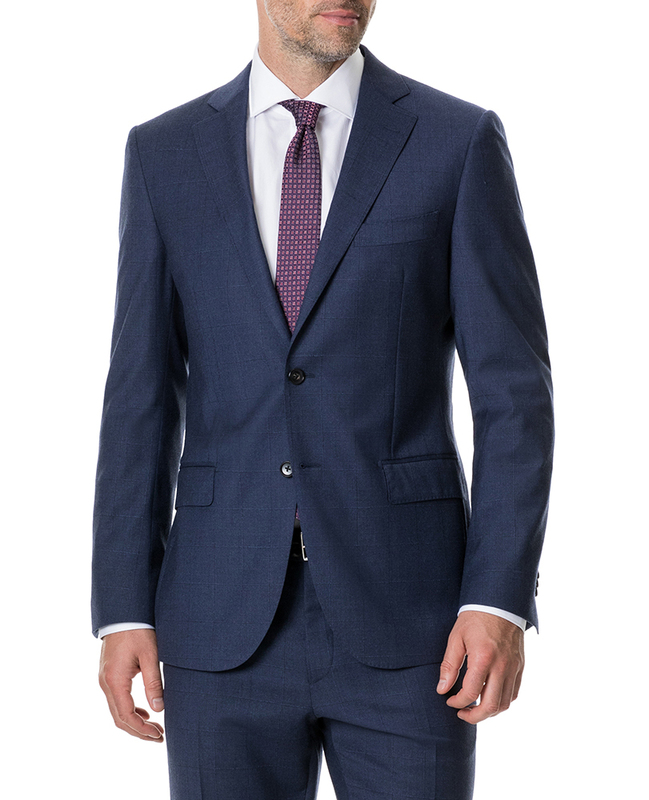 Tailored to exacting standards, the tailored cut of this suit complements the wearer with a trim silhouette and all-day comfort. Featuring our signature half-canvas construction and hand-finished details. Accompanying flat front trousers available separately. Model wears size 34 and measures: Waist 34R" Height 188cms/6'2"